Last night I decided to make banana bread. 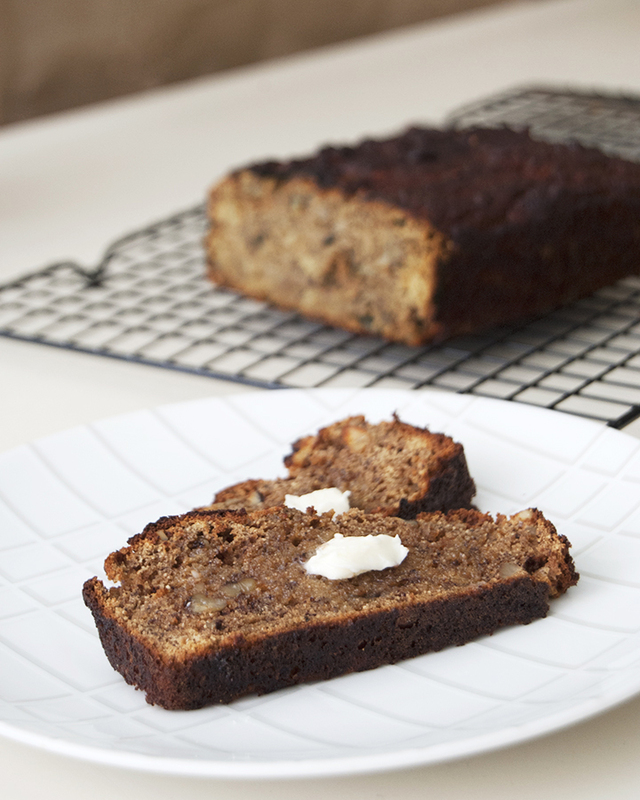 I found this recipe awhile ago, and it is simply the best gluten-free banana bread I’ve had. I made substitutions, as usual. Vanilla extract instead of stevia, and sucanat in place of honey. I love using sucanat in baked goods. I think it’s because my mom would use it in breads when I was growing up. She made the best homemade bread, she’d grind her own wheat for it and everything! Of course, those breads are off the table for me now, but this banana bread comes pretty close to some that I had growing up. Enjoy and have a wonderful weekend! Be sure to check out the other recipes at Fiesta Friday! Thank you for coming today and for sharing this delicious bread. Great choice of substitutions as well. 🙂 Happy FF and I hope to see you here next FF for its first anniversary. Enjoy the party! Just made this in muffin form. It is delicious. Thanks. Never experienced sucanat before. I’m assuming it’s more flavorful than regular sugar? I am completely unfamiliar with sucanat- what is it? thanks! Thanks- I suppose that I could have looked thea up myself!! 🙂 Would you say that it is like turbinado sugar?